Concrete coatings for your garage and basement floors tend to be overlooked because of how they get used. For most of us, these rooms are used as storage or work areas and we do not consider the added durability, beauty, and easy care a concrete coating can provide us. These benefits, along with a change in usage or a desire to change the current look of the floor are reasons to add a new concrete coating. 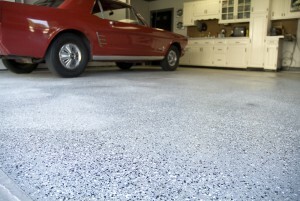 A solution becoming more popular for garage floors and basement floors is decorative epoxy flooring. They not only make your garage or basement floors look great, but they protect and extend the life of your concrete. Epoxy floor coatings produce a hard, chemical and solvent resistant finish that is maintenance free. There are plenty of color options available, ranging from bright primary colors to earthy tones. They can also be mixed with colorful vinyl flakes, quartz, or a shiny metallic giving your floor a more interesting look. The floor’s appearance and utilization will dictate the type of material or colors you will use for your epoxy floor. For example, a refinished basement that is converted to a bar area may add a shiny metallic look, whereas a garage floor that is utilized as a maintenance area may look good with a solid gray epoxy with black, blue, and white decorative flake blend. Cost and installation time usually depend on the current status of the floor. Newer, cleaner, wide open floors will take less time, thus cost less money to install. Usually, older floors and areas that have more walls separating the application areas will take longer and cost more. 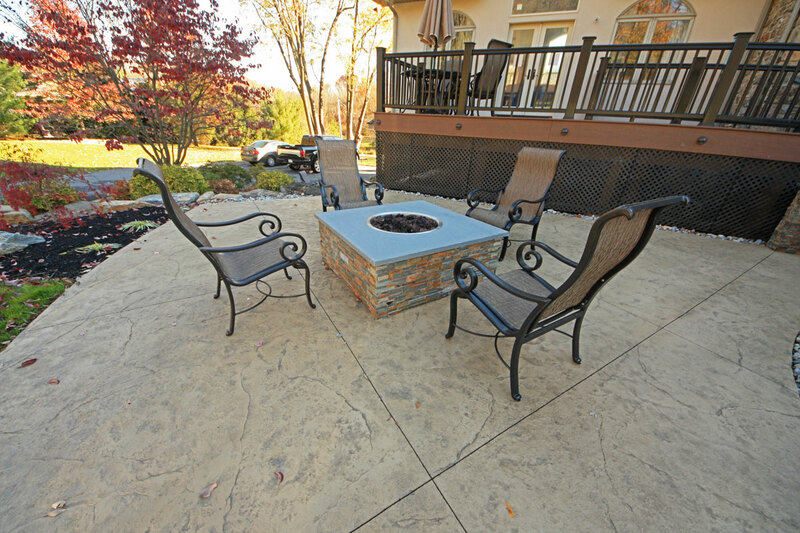 The temperature should be warm when applying and the exact temperature will depend on what material brand suggests. Epoxy floors are not only one of the best solutions for your garage and basement but epoxy can be applied to other rooms of your home and work area as well, interior or exterior. Kitchens, bathroom and shower areas, restaurants, commercial garages, porches, and most bottom floor dwellings of the house or place of business are some of the areas likely to get an epoxy coating as well. Whatever area it may be, you can be certain that epoxy will provide you with a flooring solution that is unlike any other.